Crafted by House Mixologist Andrew Burne, the award-winning cocktail is a delicious mix of rye whiskey, house-infused lemongrass Campari, topped with a lavender and rosemary smoke pillow. Paso Robles, CA — The first and only luxury resort in Paso Robles Wine Country, the Allegretto Vineyard Resort, AllegrettoResort.com, is pleased to announce that Andrew Burne’s complex and delicious cocktail Heard it Through the Grapevine, placed second at this inaugural “Ultimate Mix-Off” mixology contest at this year’s California Mid-State Fair in Paso Robles. The competition pitted ten of the area’s best mixologists against one another to create a signature cocktail using a spirit from a local distiller. Burne’s cocktail was paired with Highspire’s Rye Whiskey. Burne then mixed it with house-infused lemongrass Campari, sweet Vermouth, fresh flowers plucked from the Allegretto gardens, coffee beans and finished over a lavender and rosemary smoke pillow with a lemongrass straw. Dedicated to crafting wholly farm-to-bar cocktails, this latest cutting-edge cocktail is just one of the many sensory-enlivening drinks guests can enjoy at the Allegretto’s Cello Ristorante & Bar, along with one of the Central Coast’s most inspired wine lists, which now includes the latest vintages of Allegretto’s own artisan-crafted wine. For more information on Cello Ristorante & Bar, or the opulent and serenity-inducing Allegretto Vineyard Resort, please contact Linda Sanpei at linda@parkersanpei.com. At the Allegretto Vineyard Resort, discoveries never end. Inspired by wine country and European hospitality, the Allegretto evokes an Italian vineyard estate on 20 acres of vineyards and fruit-bearing orchards on Paso Robles’ bucolic east side. The property is a world unto itself with 171 guest rooms and suites, locally inspired cuisine, wine bar featuring the resort’s own private wine label among many others, full-service spa, pool, manicured gardens, walking paths, French inspired Abbey, hundreds of antiques, art and artifacts, 12,000-square-foot courtyard and inspired vignettes that invoke that luxury, warmth, and beauty of la bella vita. 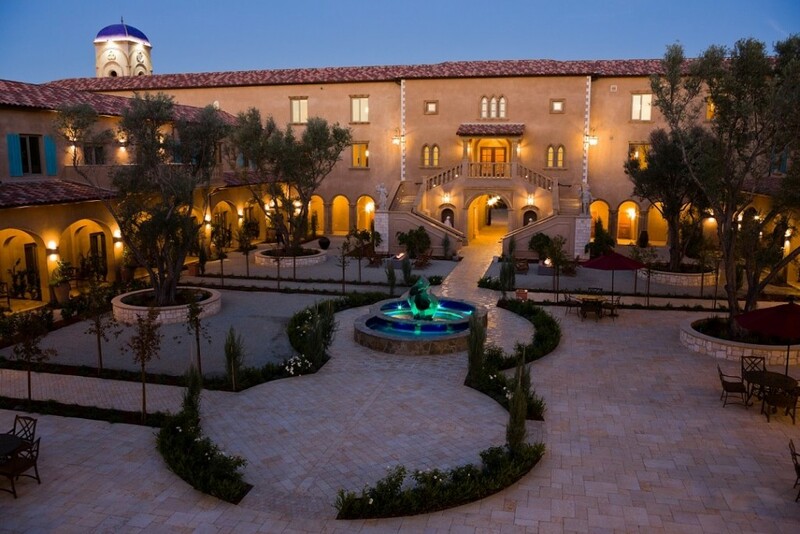 The Allegretto Vineyard Resort is located at 2700 Buena Vista Drive in Paso Robles, California, 93446. For more information, please visit AllegrettoResort.com or call 805.369.2500.